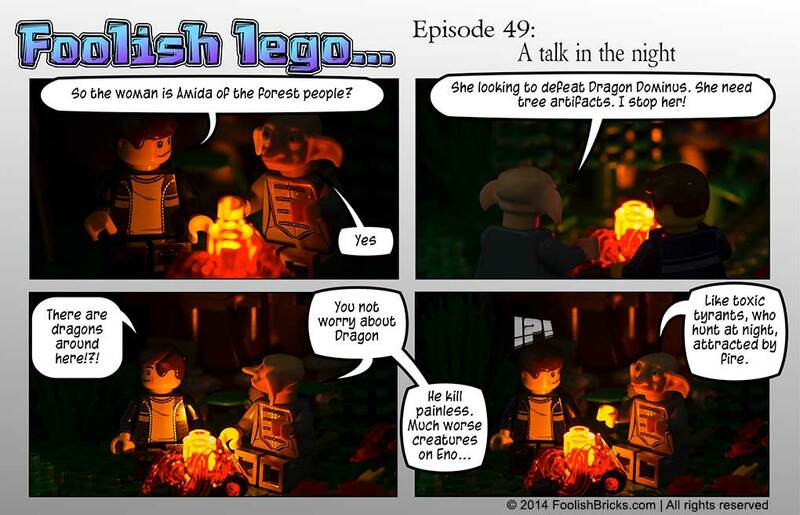 One of the main inspirations for starting this comic is another Lego webcomic; ‘Bricks of the dead‘. A comic by Dave about zombies. I’m not into zombies, but his one got me interested because he approaches the subject from an interesting angle. The comic itself is also very crafty and its really good. He’s been going for a few years now and the story really pulls you in, which is quiet the accomplishment considering the near zero body-language minifigs can get across. Another thing that I really like about his comic is the community he has attracted to his comic. All interested in Zed’s, the comic, or the questions which Dave (kinda) distillates from each episode. (I even devoted a photo in the 365 to Dave and his comic). So what are you still doing here? Go check it out! I also added a drop down-menu containing Lego webcomics in the footer. I feel a lot of them are not really updated anymore, but there still are a lot of nice onces in the list. My favorites are in the blog-roll (in the sidebar of the photography-section of Foolish Lego).